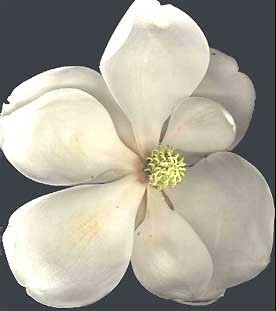 Magnolia Setter Rescue, establisted in 1995, is a network of volunteers who protect and promote the Setter breeds (Irish, Gordon, English, and Irish Red & White), primarily in the Southeast. Our Coordinator, Bonnie Foster, is a member of the Gordon Setter Club of America (GSCA) and the Irish Setter Club of America (ISCA). She covers the state of Florida for Gordon Setter rescue, and other areas as needed, and serves on the National Rescue Committee. She covers the southern states of ISCA's Region 3 for Irish Setter rescue, and other areas as needed. You can help brighten the life of a once-loved pet who is now homeless by adopting, fostering, or donating to help cover veterinary medical expenses not met by adoption fees. Providing high quality medical care for our Rescued Setters is expensive. The cost of vaccinations, routine procedures such as spays and neuters, and tests continues to increase. For those special-needs Setters requiring additional medical treatment - kennel cough, pneumonia, heartworm disease, extensive dental problems, diabetes, chronic otitis, enteropathies, hypothyroidism, tumors, orthopedic problems, specialized diagnostic procedures, and surgery - the expenses mount. Each Setter is a cherished member of our Rescue family, and their foster families are committed to providing the best care for them. 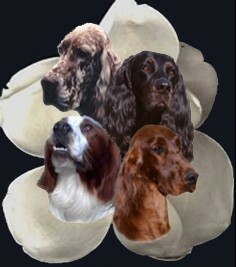 Please help us in our mission to *Rescue, *Rehabilitate, and *Rehome Setters by making a donation to sponsor a Setter. We can accept funds through PayPal via the "Donate" button, or you can visit our donations page for additional options if you'd like to make your donation in honor, or memory, of a loved one. Your donation will assist us in continuing our essential and successful Rescue/Adoption program and may be tax-deductible. If you have or know of a Setter in need of help, please contact us. We are here to help. Now offering "Setter Sitting" in Florida. 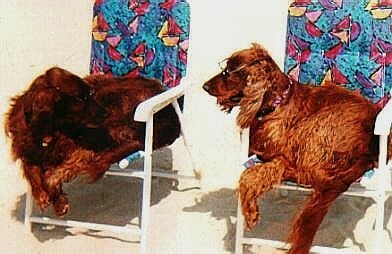 If you live in Central Florida, or you are vacationing and need a place for your Setter to stay, please visit Comfort of Home Professional Pet Sitting for more information.